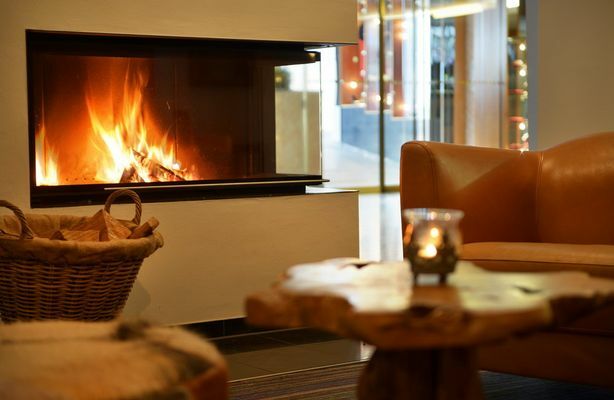 Feel totally at ease in our 4* Hotel in Füssen! 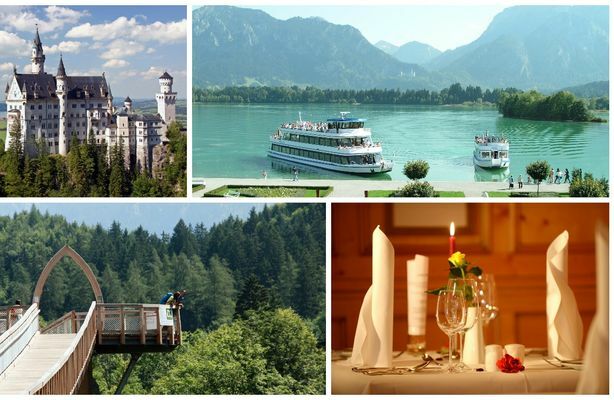 Feel at one with the stunning beauty of the divine holiday land that is Allgäu! Take time for yourself to enjoy what you have been yearning for. Neuschwanstein castle will carry you away to the fairytale world of King Ludwig II. 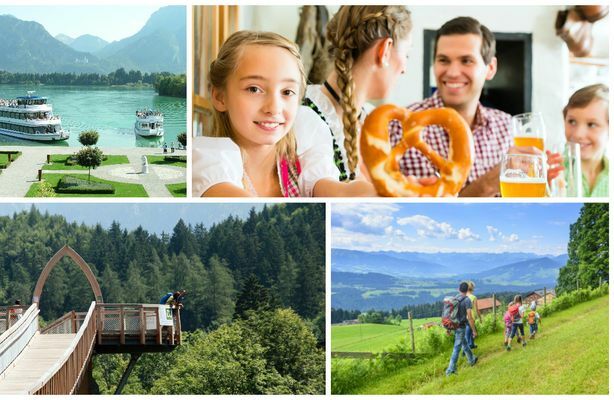 During your holiday in Füssen allow yourself to be fascinated by the sheer amount of leisure activities available in our region, by the vastness of the mountains and the variety of meadows and forests which make every excursion a relaxing and fascinating experience. With everything from hiking to surfing, you should allow time for all of it during your holiday or your mini-break in Allgäu. After all, from our hotel in Füssen you have wonderful opportunities to enjoy outdoor activities and sports, indoor training and also the cultural life of the city. Take a relaxing stroll along the banks of the River Lech or around the lakes in Königswinkel. Drink a well-needed coffee in the old town and take in the shops. 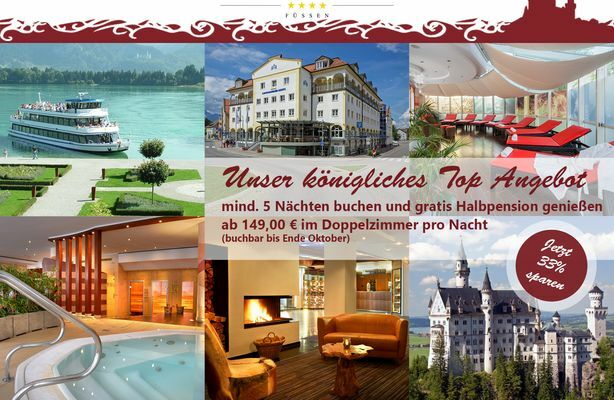 Wind down in Füssen – and also be our guest at our hotel in Füssen in Allgäu during Christmas and New Year. 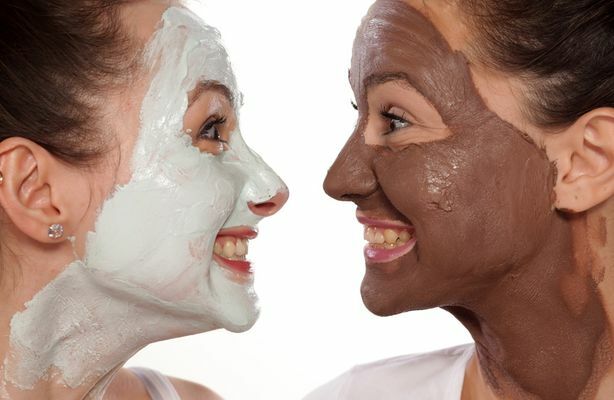 At our 4* hotel in Füssen we will provide you with relaxation and pure pleasure. Feast in our restaurants. 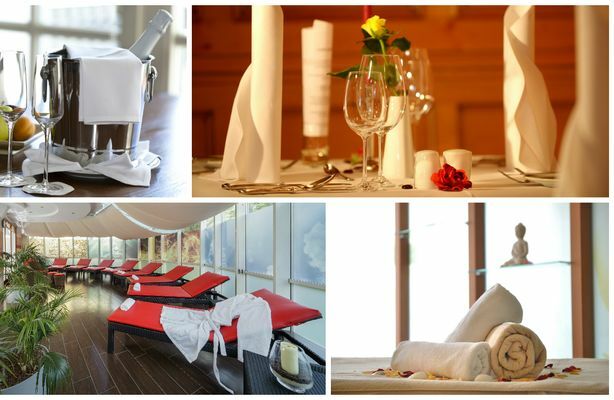 Relax all your sinews with wellness and beauty in our wellness hotel in Füssen. And rest in total relaxation in our comfort rooms and suites. If you're travelling with a group, planning an unforgettable party or holding a meeting in Allgäu – the regal Luitpold Park Hotel is the perfect place to party and hold your conference. Our hotel kitchen team in Füssen will create tailor-made menus to ensure your events at the 4* hotel in Füssen is simply perfect.